Have you ever wanted to push a little extra power out of your car? Don’t lie; you know you’ve always wanted a few more horses under your hood. But tuning out your car takes quite a bit of time and effort. Or at least that’s what you’ve been told. In truth, it’s possible to get that boost of horsepower and torque in only 25 minutes. In other words, you can have a car boasting superhuman speeds in less than the time it takes to watch an episode of Top Gear. Even better, it’s pretty easy too. And it all happens with a nice little trick called remapping. So, are you ready to see if remapping is right for your car? Then you’ve come to the right place! Today, we’ll fill you in on all you’ll ever need to know about tweaking your ECU to pump out some big performance. With that said, let’s get to it—read along with us to see why remapping will be one of the best decisions you’ll ever make. In short, remapping is tweaking your engine control unit (ECU) to boost your car’s performance. So if you’re looking to power up your horsepower, torque, or even fuel economy, then remapping is something you’ll want to consider. But here’s the best part about remapping: It’s fast. Once you’ve got the hang of it, you’ll have no problem upgrading your CPU in about a half hour. So, it doesn’t take much of your time or energy. If that’s not easy, we’re not sure what is. If you’re curious about the technical side of this, it’s also pretty straightforward. In modern cars, you’ll simply overwrite the ECU through the On-board Diagnostic Port (OBD for short). You can usually get these done by taking your car to a performance garage or by using a mobile remapping service. Does This Mean You Can Remap Any Car? Well, not exactly. ECU chips are relatively new in the automotive world. So, if you’re riding around in a 1952 MG TD, don’t expect to remap this car. For that matter, most cars before the year 2000 will be difficult to remap since the ECUs (if present at all) work a bit differently. That’s not to say you can’t tune out these older cars at all, as bench tuning (aka chip tuning) is a decent alternative for pre-2000 cars. You’ll still gain a respectable boost in power by modding the circuit board. But the process works a bit differently as a whole. For the most part, this will be your best option if your car lacks an OBD port. Here’s where the all the remapping occurs: your car’s ECU. Simply put, this is your engine’s overall computer that tells it what to do. In other words, you can liken it to your motor’s brain. It’s what really tells the engine how much power to produce, among other fun things. But here’s where this get interesting. Most car manufacturers won’t set the ECU to its optimal settings. And reasons for this vary heavily. In most cases, the carmakers need to abide by each country’s emission laws, fuel qualities, and even climates when programming an ECU. However, other times, car companies will use the ECU as more of a marketing tool. In fact, it’s really not uncommon to see two trims of the same car running with the same engine. But you’ll see the higher trim bragging about better performance. As you probably guessed, this difference mostly results from playing with the ECU settings. And if you were curious: yes, with the help of a remap, lower trim cars will perform with the best. These are just some examples of why car companies refrain from setting the ECU to its full potential. But the bottom line here is that the ECU is the brain of your motor and you can modify it to see some impressive results in your car’s performance. What Are the Benefits of Remapping? By this point, you’re probably not surprised to know that remapping is downright amazing. But, of course, you’re probably wondering why. So here are a few reasons you’d want to remap your ECU. So, if it wasn’t clear already, we’ll say it again. Remapping does some stellar work when it comes to giving your ride some extra speed and power. In fact, it’s not uncommon to see a car’s engine put out 30-40 more bhp after playing with its ECU settings. And if you’ve ever tuned a car before, you know that little bit of horsepower goes a long way. This point relates more to your transmission. But after a remap, you’ll find you won’t need to shift your car as frequently—especially with a manual gearbox. This is great for a couple reasons. First of all, it makes for an easier drive. But more importantly, you’ll get better fuel economy. Who could argue with spending less of your hard earned dosh at the pump? Expanding off that previous point, it goes without saying that you’ll save money with a more responsive engine. But in the process, you’re also reducing your carbon footprint by emitting less fuel into the atmosphere. What Are the Downsides to Remapping? Does this all sound too good to be true? Well, not to worry, as there really aren’t too many cons to remapping. In fact, most of the downsides here are fully dependent on what you drive and how you drive it. So let’s get to it. This point here is mostly common sense. But anytime you hot-rod or push your car’s performance to its full potential, you also use more gas. So, note that a remap is not a magic solution to racing a car without using high amounts of fuel. You can’t have your cake and eat it in this case. Again, every car and driver is different. And, once again, when you push your car’s performance to its top levels, you will still wear your clutch, engine, rotors, pistons, gearbox, and all that other good stuff. Also, keep in mind that this can be rough for warranties as well. But we’ll get to that in a moment. For now, just note that remapping does not allow you to reach those high speeds for free. As you might have guessed, greater performance often means you’ll need the best fuel. This mainly results from your car now working harder. So it’s definitely a good idea to use high-quality gas after remapping your ECU. At the end of the day, remember, that most of the cons listed here are fully dependent on how you drive your car. In other words, they’re situational. And in most cases, these issues still exist even without an ECU remap. So, really, the point here is to remember to be realistic. Or, to put it another way, know that remapping your car isn’t the end-all-be-all stop for repairs and maintenance. Will Remapping Void Your Warranty? We won’t beat around the bush here. In most cases, yes, remapping your car will void the warranty on your engine. And yes, often times this includes your turbos, superchargers, clutch, gearbox and other parts as well. As a rule of thumb, most warranties from the carmakers bluntly state that any non-approved OEM mods will void a warranty. So, unfortunately, ECU remaps almost never receive OEM approval. Therefore, be aware of this if your warranty is still fresh. There are a few things to keep in mind here. First of all, you can reverse a remap. In fact, most tuners can return your ECU to its default settings quite effortlessly. As such, this heavily reduces your chances of the OEM noticing the remap in the first place if you ever need to use your warranty. Also, most diagnostic equipment is not advanced enough to detect remaps. So, as long as you don’t brag about the remap when filing your warranty, there’s a good chance it’ll fly under the radar entirely. Before you decide to go all-in with a remap, remember to let your insurance agent know your plans. Otherwise, you might find your insurance company dropping you faster than your new 0-100kmh if you ever need to file a claim and the ECU changes are found. Also, keep in mind that insurance companies react quite differently to ECU modding. In most cases, you’ll get a “thanks for informing us.” But sometimes, you’ll find your premiums rise quite a bit. Therefore, do some research beforehand. And remember that it’s not always a bad idea to switch insurance companies if it comes down to that. Is Remapping Your ECU Worth It? So we’ve finally reached the big question. Should you remap your car? Honestly, the choice is up to you. With that said, here’s another way to ask that question. Do you want extra power, speed, performance, and fuel economy? Of course you do! And one of the easiest ways to do just that is by remapping your engine’s ECU. So really, it becomes more a question of when. 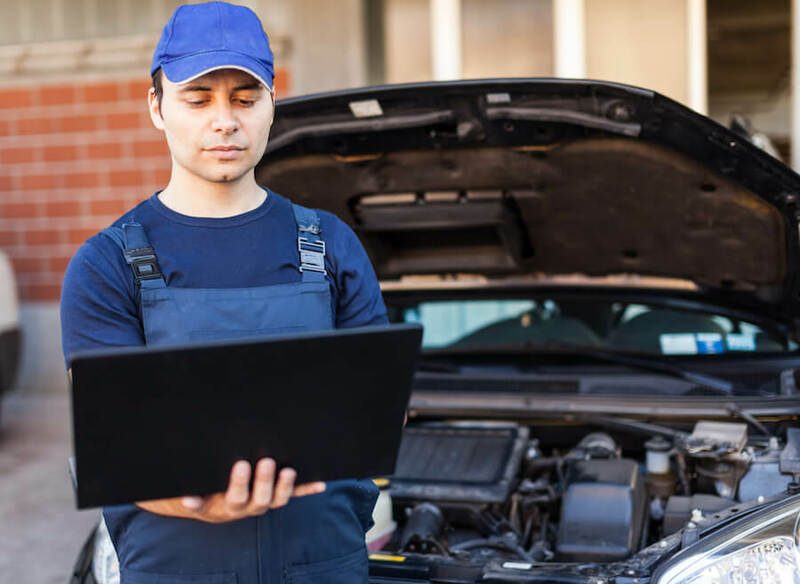 Before you fully commit to this choice, be sure to check in with your insurance company and any take a look at important parts warranties first. But after that, don’t let anything stop you! After remapping, you’ll be driving the super-powered version of your favourite ride. And it’s a feeling that little else can top. We offer a mobile remapping service at home or place of work in the South East of England. You can find more information here. Garage Location: Wisbech, Cambridgeshire, PE14 9PJ.